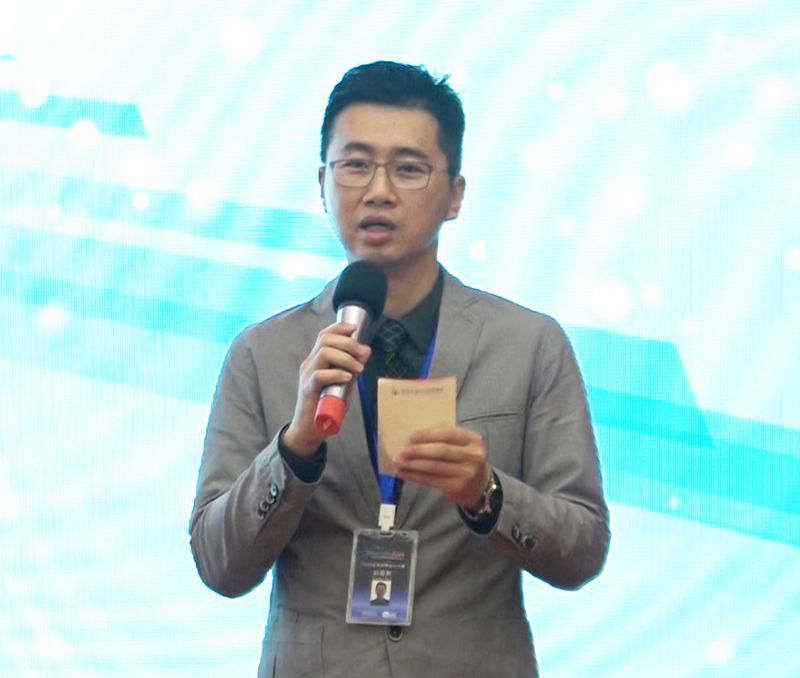 The 13th Annual Innovate Asia FPGA and SoC Design Contest held in Wuhan, China successfully ended this month. Innovate Asia FPGA and SoC Design Contest is a highest FPGA design competition of the Asia-Pacific region. Innovation Asia FPGA design competition is sponsored by internationally renowned manufacturers such as Intel, Terasic, Cypress, ISSI, Johanson Technology, Linear, Micron, Panasonic, Texas Instrument, and Würth Elektronik. October 15, 2016 launched a two-day finals and awards ceremony, students entered in this series of events, through their own interpretations and through dynamic displays took turns devising and demonstrating their own interpretation, allowing everyone see the completed projects. 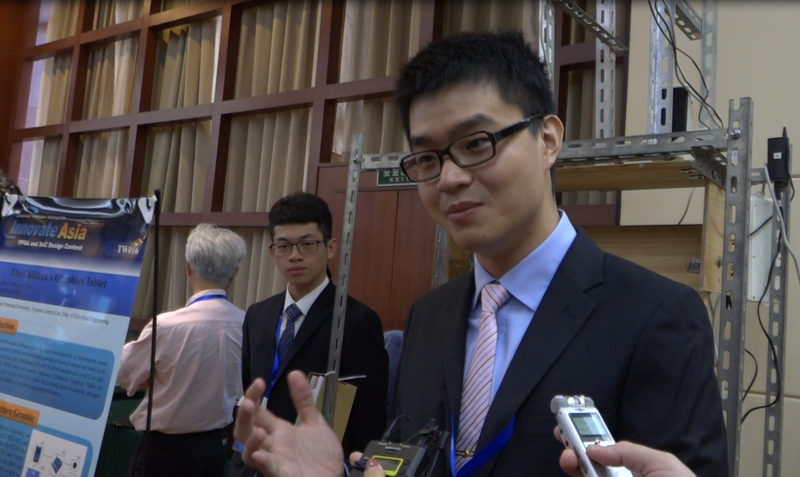 The tournament is considered the highest honor in the Department of Asia Pacific engineering, so the students all did their best in hopes of winning the judges favor. There is a panel of 13 distinguished judges from various backgrounds with in the Engineering industry, including the deans of universities, and international companies such as Intel, Terasic, Würth Elektronik, etc. Terasic’s CEO, Dr. Sean Peng said, I was part of a similar contest 25 years ago, in North America. I understand the effort you have all put forth. Regardless of the outcome of your performance, this is the highest honor and each one of you is a champion. The competition winner will receive recommendations, from Terasic, for graduate school or possible employment opportunities. More than 800 teams vigorously competed at the beginning of the competition and through an arduous process of elimination; the above mentioned 800 teams were narrowed down to 21 elite teams. 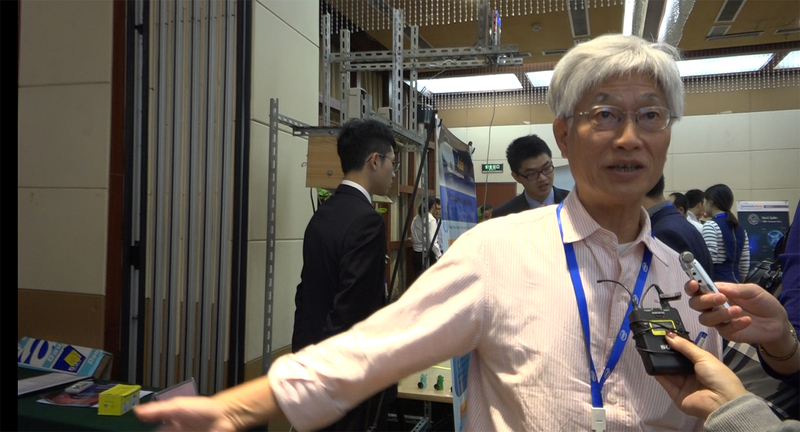 Professor Huang, Yung Guang from National Yunlin University of Science said, I think they are very creative. Their projects were creative in ways I did not expect. Even though, as a teacher, I have more experience, I have learned many new things. I am very excited. In this year’s contest, robotic design is a hot topic. Many teams use a variety of robots, such as spider robots, security robots, and dancing robots. 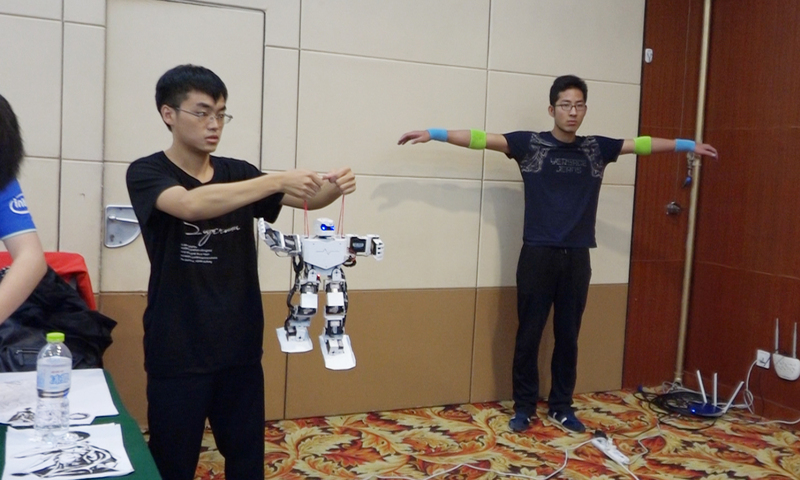 Students from Hubei University are showing their dancing robot. Using an FPGA board which is operating in real-time processing allowing the dancing robot to process and interpret the movements of a host. The host’s movements are then interpreted and converted to a code that controls the robot's movements. After it is converted the robot completes its dancing routine. One of the students said, one of the best things about participating in this competition is giving me the opportunity to showcase our inventions in front of international companies. Throughout this event the competition was brutal, however the behind the scenes effort put forth from the competitors was extraordinary and required perseverance, to say the least. We are confident it has been a necessary forging process that shows determination and specialization.